Where does Telegram Save GIFs? 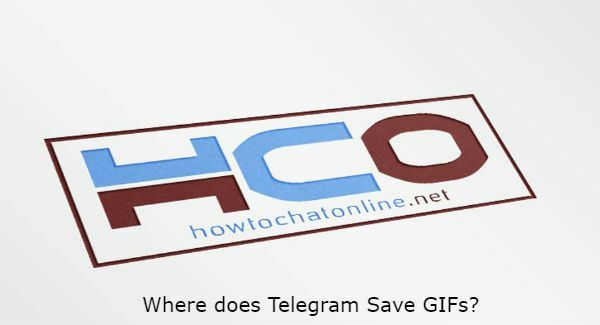 Do you want to know that where does Telegram save gifs on your Android or iOS phone? Or you need that information for computers? We are going to give this information for you on this page. We have created this content due to a question of a How to Chat Online. You can also ask us anything about Telegram or a messaging platform via commenting our pages. You can also check: Where does Telegram Save Files in iPhone? The location of GIF files can be changed, you can check the following OS or devices to see where are they saved. You can find tips for Android, iOS, Mac, Ubuntu and Windows operating systems. Go to “File Manager” on your device or download a file manager application from Play Store. “Scroll down” until you see the Telegram folder. Select “Telegram Images” from the folder list. You will see your GIFs in this location. Go to App Store on your iOS device and download a file manager application. See: File Manager Apps on iOS for Telegram. Run file manager application which you have installed. Look for Telegram folder on your device. Go to Images folder and get your GIFs. You will able to get your Telegram GIF images wherever you download Telegram on devices with Windows, Mac, Linux or Ubuntu OS. It is because you install the application to the same directory with download folder. We recommend you to check this file. See Also: Can You Export Telegram Chat to Phone or Computer? Join Telegram Web with your account. Go to the chat which you want to save GIF file. Right click on GIF image. Save the file to the location you wish. You can ask us anything related with GIF files via commenting this page, you can also ask anything related instant messaging applications and softwares. We are going to respond you as soon as possible.